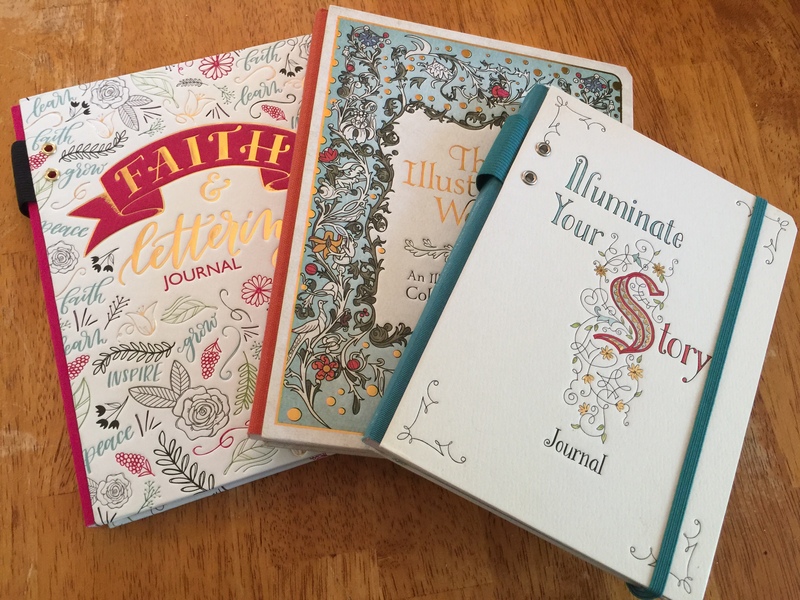 I am so excited about these three beautiful journals from Ellie Claire and Worthy publishing. They are from the Museum of the Bible and I had the privilege of working with The Green Collection handling PR for several traveling exhibitions of artifacts before the Museum of the Bible was built. I saw, up close and personal, the original ancient texts that inspired these journals. Journaling, scripture study, contemplation, and creative expression can help you craft your remarkable life as you grow closer to the spirit and put yourself in a place of listening and receptivity. These journals carry on the tradition using of lettering and imagery to illuminate the text by teaching us how to do it. All of the journals are exquisite with such features as heavy card stock, embossed covers, and vibrant colors. The Illuminate Your Story Journal is less of a journal and more of an illuminated lettering sketchbook. It shares the history of illuminated lettering and then includes step by step instructions for each letter of the alphabet. In between each lettering instruction and practice pages are two-pages of journal space and an inspirational quote. A handy keepsake pocket is on the back cover. It includes a bookmark and a pen holder. This would be a great gift for the person who likes to doodle! The second journal is the Illustrated Word, An Illuminated Bible Coloring Journal has a beautifully embossed cover and combines journaling with coloring for an immersive experience. Throughout the book are coloring pages of images found in various texts including the Bible and The Book of Common Prayer, an image of the original art, and plenty of journaling space. Part art history, part art class, part devotional this journal is a sensory creative delight. This journal would delight preteen and teen girls and women of all ages. The third journal, Faith & Lettering Journaling, is also a beautifully embossed work of art. It teaches the art of creating fun lettered sayings with instructions and space to practice. It also teaches how to create several types of fonts. The journal includes different blank page formats to use however you want to capture inspiration including graph pages, lined note pages, dotted pages, and notes pages with a wide margin for art and lettering. If you have ever wanted to learn how to make those cute chalkboard sayings, this journal is perfect for you! Check out my video review of these on the Sheran Memories YouTube page! I cannot wait to dig into these. The only problem will be choosing which one to explore first! October is my favorite month of the year for several reasons. It is my birthday month, it is the month of pumpkin spice, chili, and cooler temperatures and is Down Syndrome Awareness Month. 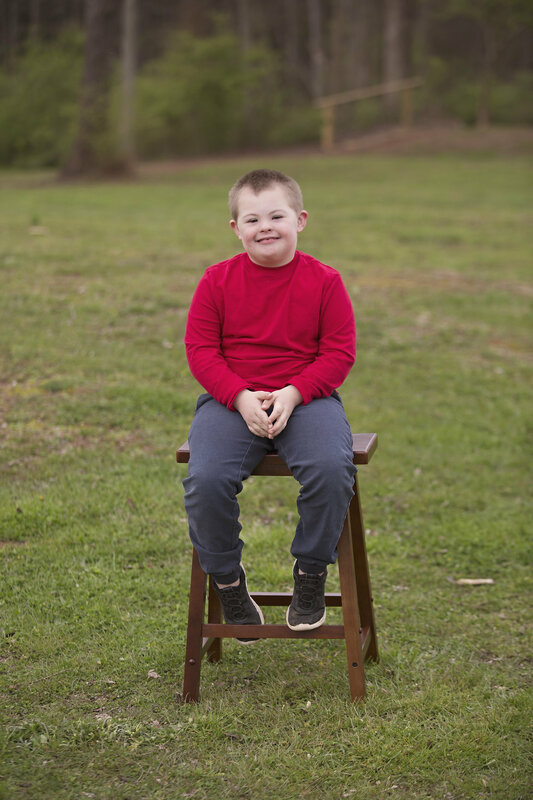 Down Syndrome Awareness is important to me because I have an 8-year-old son who has Down syndrome. On July 2, 2010, shortly after an emergency c-section, and before I got to hold my new baby, we got the news that the doctor thought he might have Down syndrome, also called Trisomy 21, which means that for reasons unknown, he has an extra copy (in part or whole) of the 21st chromosome. Joey was born over Fourth of July weekend, which meant that the genetics clinic at Emory was closed and it would be at least 7 days before we would know for sure. What we learned in those early days was the medical community is not prepared to equip & inform parents about Down syndrome! Our nurse assured us as we visited our son in the NICU for the first time that a lot of people would want to adopt him. Our doctors told us of all the possible complications that could come our way – such as heart defects, hearing problems, speech issues, thyroid issues, low muscle tone, celiac disease, a higher risk for leukemia, life-long dependence, low IQ, a likelihood of getting Alzheimer’s when older, and a shorter life expectancy – and that there was no way of telling if our son would experience any of that list and to what extent. Our geneticist told us Joey may put one to two words together. The message they sent was one of fear, not optimism. Then we actually met real people in the Down syndrome community. 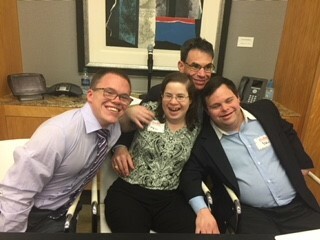 Through organizations like the National Down Syndrome Congress and the Down syndrome Association of Atlanta, we met with other parents, talked with experts and learned that people with Down syndrome really are more like their peers then they are different. We learned that people with Down syndrome, however, are just as individual as you and I. While there is no spectrum and how Down syndrome represents itself in people is very individualized from the degree of low tone, to IQ to personality traits, etc. We were encouraged to treat Joey just like we would our other children. We were given examples of people living with Down syndrome who play sports, go to college, work, and even get married! We were lucky, Joey did not have any of the major medical complications the doctors told us he could have and we set about getting him whatever support he needed. That included physical therapy, occupational therapy, speech therapy, and tutoring. Be patient. He will catch on to most things, in his time. 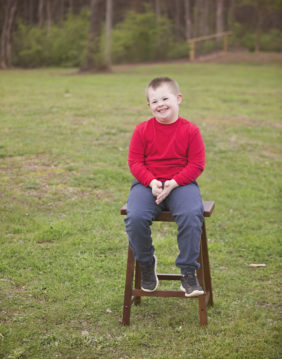 It took him longer to crawl and walk than his peers, but with therapy and practice, he eventually got it and now is all physical guy and loves to play soccer, baseball, and basketball. He is quite good at it too! Now we are focused on learning to read and going to the potty when he needs to go. He knows how to, but his low tone may make it difficult for him to know when he has to and his stubbornness may keep from stopping what he is doing to go. Be hyper intentional. We have to be very hands-on in learning and life skills. It is very important that I take the responsibility of being his primary teacher, and work with his teachers to ensure success. That means lots of reading and math at home, tutoring and going to places that give support like GiGi’s Playhouse Atlanta. It means everything is a learning opportunity! Expect the unexpected! Joey is a very curious little boy with plenty of mischief in him! For example, he loves milk, waffles,, and tortillas. He knows he cannot just help himself to these items when he feels like it, because he will get the entire package in one sitting. He also knows, how to get the package of tortillas or gallon on milk and sneak downstairs. The other day he proudly showed me his hiding spot for the milk jug. People will surprise you. We have come a long way! 30 years ago many people with DS were put in institutions and there were low expectations for them. I feared people would make fun of him and exclude him. I am so proud of the kids in our neighborhood who include Joey in play after school, and realize he can’t run as fast, but include him nonetheless, and for the young man this summer who showed Joey how to play Sharks and Minnows with the rest of the kids and stuck next to him the whole time. Joey is liked and accepted by his peers and I believe inclusion has a big role in that! All kids have special needs. Sometimes Joey is the easiest of our three. We have a ten-year-old and 17-year-old and they also need extra attention and support in areas that we could not have predicted when they were born. There is no such thing as normal! Overwhelming love! That kid is the definition of love. I am so proud of him. He makes me smile and laugh every day! And while people with Down syndrome are not happy all the time, they do have every emotion that you and I have, Joey has a sense of wonder and excitement that permeates everything he does. So, while we do face challenges, such as making sure he learns the academic and life skills for a life of independence, advocating for inclusion, finding ways to provide lifelong financial supports, affording the therapies that will help him become independent, and being ever vigilant for his safety, we also experience great joy and love. So why is Down syndrome awareness important? Today, nearly 70% of parents in the US, and higher in other countries, who get a pre-diagnosis end up aborting likely due to misinformed doctors like mine. We still need inclusive and equal education opportunities and more inclusive communities. There are few options and little support available after they leave the education environment, and many people end up alone on the couch at home. There needs to be a funnel for employment, independent living, transportation, and community activities. So, what can you do? First of all, remove the R-word from your vocabulary under all circumstances. And use people first language – say a boy with Down syndrome, not a Downs boy. If you own a business or are involved with hiring, consider how you could employ someone and make sure your employees are trained for disability awareness. If you know someone who gets a diagnosis or has a baby with Down syndrome, you can refer them to their local Down Syndrome Association to get the real facts and lots of support. Finally, get to know someone who has Down syndrome. Assume ability and extend friendship and you will have a friend for life. I have been doing a lot of reading lately and I was excited to get the next novel in the Hope Harbor series by Irene Hannon. Hannon brings us to this quaint little seaside town, which has this propensity to heal hurt hearts. Each novel introduces new characters who come to Hope Harbor after experiencing some loss or hurt and reacquaints us with old friends such as the two town ministers, Charlie the wise artist and Taco truck man. In Pelican Point, Hannon introduces us to two main storylines. One has Army doctor Ben Garrison returning home to take care of his grandfather’s affairs and me is surprised with an unexpected inheritance and an unexpected romantic interest in Marci Weber, a local reporter recovering from the wounds of her own past relationships. The second storyline is of a young newly married couple facing a crisis after Greg loses his leg from an IUD blast. Hannon develops strong characters and has us rooting for them to find the peace and love they are seeking. I also appreciate that Hannon develops strong romantic scenes without getting too graphic. The characters have a deep longing and a deep respect. I wouldn’t be afraid for my teenager to read these romances because they are the type of relationship I would wish for her. I can’t wait to read the next novel in the Hope Harbor series. 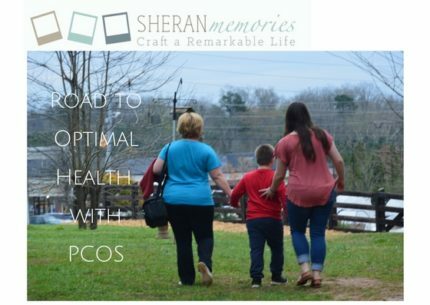 I have written before about my struggle with PCOS and I have to say, I’m not much further along on my journey than I was then. It is very much a head game and although I made progress in the early part of 2017, a series of events in the latter part of the year turned my focus and I gained any I lost and then some. Still, I journey on, knowing I must get it under control for my health and well-being. 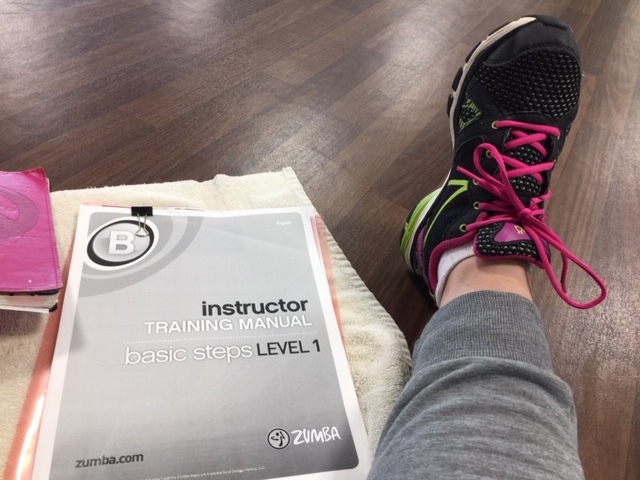 So, I am going to regularly blog about my efforts to follow a PCOS diet and health regimen, which includes a low carb/low sugar diet, plenty of rest, stress reduction and aerobic exercise. I will share my struggles, challenges, and strategies to overcome, succeed or fail. Currently, I am doing Weight Watchers and I get a lot of support from the weekly meetings. We have the best meeting in my town. 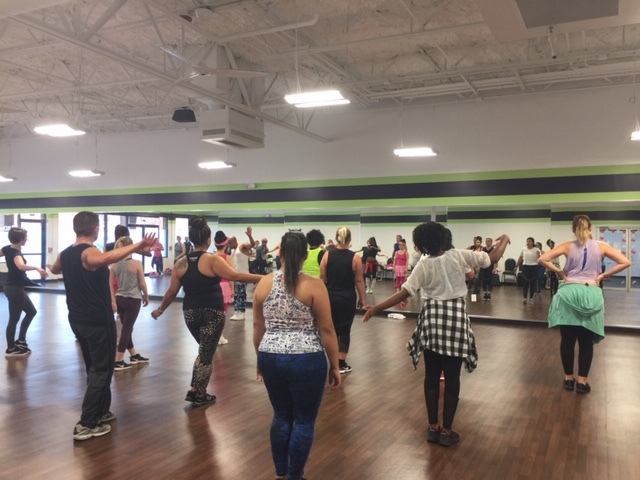 We share a lot of tips and recipes and even have a monthly clothing swap and do Zumba every once in a while. Having a group to cheer you on and lift you up is very important. 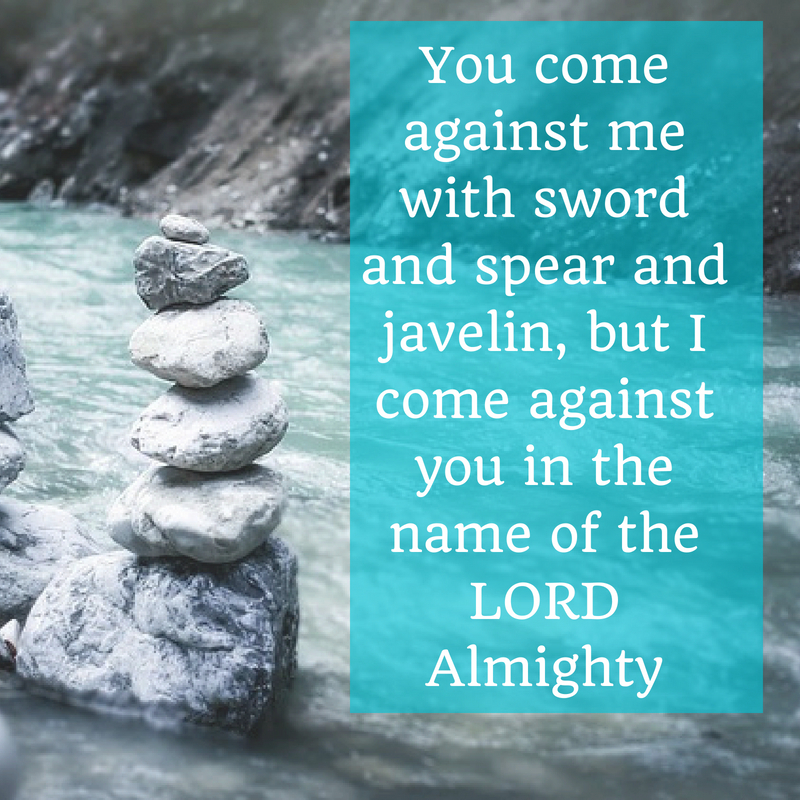 Being accountable to someone is also important, so I want this blog to serve as an accountability factor for me. The new WW program is focused on low-fat protein, fruits, and vegetables, which is good for me. I need to follow a food plan that is high protein and fat, low carb and low sugar. I plan to use the points for my fat and then basically follow Keto in my food choices. Keto has shown to be successful for people with PCOS. So I am doing a PCOS/Keto version of Weight Watchers. There are a number of foods that those with PCOS are recommended to avoid. I will start cutting most of these from my diet, especially those that don’t fit with Keto. If you would like to follow my journey or join along with me, follow me on Facebook. I will post more frequently on my Sheran Memories page on Facebook and do a weekly blog here. I’d love to encourage you in your journey and swap strategies and tips for success. Here is to never giving up and becoming our best selves for optimal living. So, one of my 2018 goals is to read 24 books. While I plan on at least half of them be educational to help me grow in business or other areas of my life, I also plan to work in a good dose of titles that are purely for pleasure and relaxation. My favorite genre of books, TV or movies is crime investigations and mysteries. I think it comes from the love I had for Nancy Drew and Hardy Boys books in my youth. 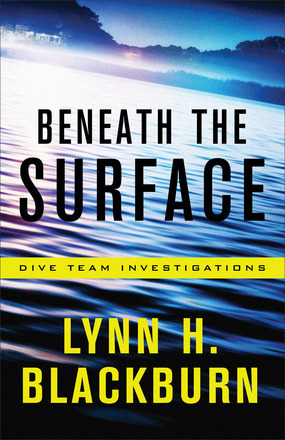 My latest crime mystery is the first in a new series by Lynn H. Blackburn, Beneath the Surface – Dive Team Investigations. What is really cool is that Lynn is a Christian author and she weaves in the role of faith when facing fear and uncertainty as the characters grapple with faith and fear. The book is a romantic suspense with just enough balance between the two. While I was left rooting for the budding romance between the two main characters, Leigh and Ryan, I was captivated by the mystery the Dive team investigators were trying to solve. This was not a novel with an obvious suspect. It kept you wondering until the end and was an unexpected surprise. I am looking forward to the next mystery the Dive Team Investigators have to solve and I hope we hear what happens next for Leigh and Ryan. Happy World Down Syndrome Day! 3/21 signifies the three copies of the 21st chromosome that make my little man so darn perfect! World Down Syndrome Day is celebrated around the world and is even recognized by the United Nations. I celebrate it as a day of advocacy, awareness, and appreciation. 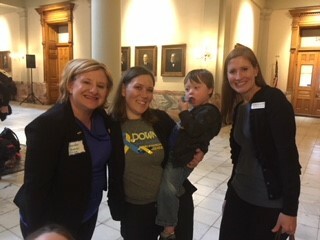 My day began with advocacy at the GA Capital where I met with other families and self-advocates who are part of the Down Syndrome Association of Atlanta. We were greeted that morning by House Representative Scott Hilton and a Representative from Athens. 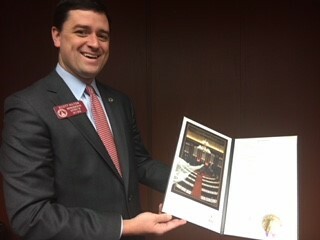 Scott showed us a sneak peek at a declaration signed by Gov.Deal declaring it Down Syndrome Day in Georgia. We then scurried across the street to the Capitol building to be ready for a photo op with the Governor. I was able to shake Governor Deal’s hand and thank him for the support. Afterward, we were ushered to the gallery of the House chamber to hear Scott present the declaration on the House floor. Later, I attended a “3/21 Over 21 event” where I was very moved by the presentations of three young adults with Down syndrome. One has been married for 14 years, has a job at a local hospital and lives a fulfilling life; another young man lives in his own apartment with a roommate, has had the same job for 20 years and is very active in the community; and another young man is graduating from college with a degree in exercise science and wants to be a trainer. They each gave me so much hope and anticipation for Joey’s future. It was truly amazing. To know my Joey is to love him. He has changed me in so many ways and is every day making me a more accepting, patient, and hopeful person. He is a light of joy in our family and I wouldn’t have it any other way. Happy World Down Syndrome Day! See previous posts about World Down Syndrome Day! Last week, I did a review of the Family Honor Plate (Familyhonorplate.com) you can read my review here. This week I am posting the video my daughter and I did to show you how we got started with the Family Honor Plate. I would love to hear what you think about this tradition.